28 August 2018 | By Libby Peacock Africa’s richest square mile has no shortage of watering holes, but not all serve your favourite mixed drink. 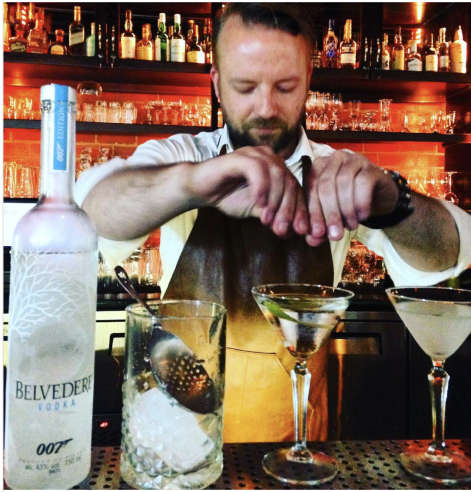 Here’s our choice of four Sandton cocktails bars. 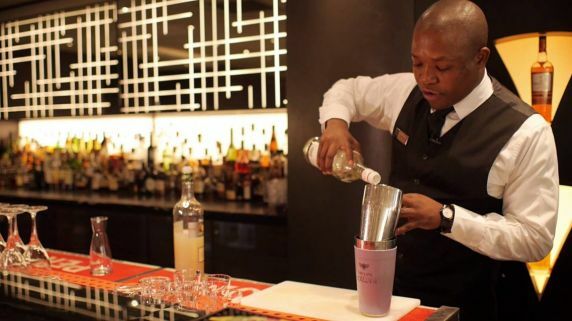 Africa’s richest square mile has no shortage of watering holes, but not all serve your favourite mixed drink. 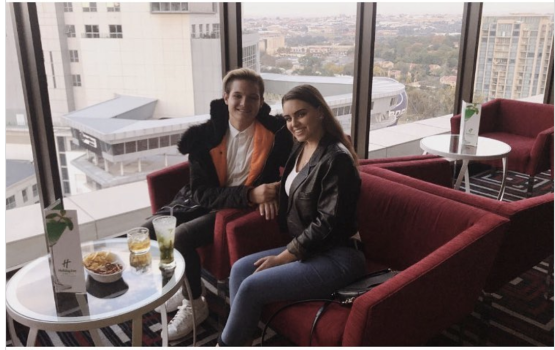 Here’s our choice of four Sandton cocktails bars. 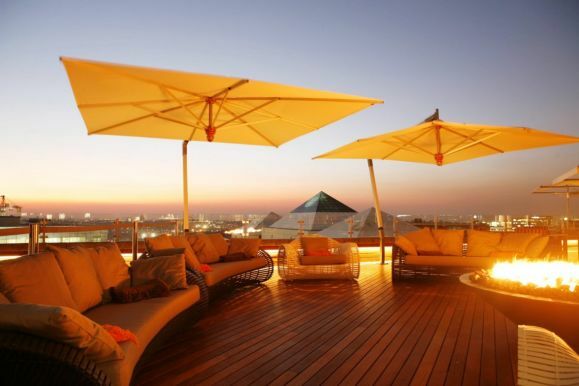 The San Deck at the Sandton Sun Hotel is the place to go for sprawling views of the Sandton skyline and that spectacular Jozi sunset – not to mention the classic cocktails. Laze about on the comfortable couches and order a mojito, cosmopolitan or aptly named Sandtonista – or choose any other alcoholic or non-alcoholic beverage from the wide range on offer. Then just enjoy the unsurpassable setting. For cooler evenings, fire pits add atmosphere and warmth. Whether it’s post-work drinks or a romantic date you’re after, this sophisticated venue is the place to be seen. To accompany your drinks, four-piece cocktail platters feature mini-vetkoek, vegetable dumplings, fried halloumi and more, or grab a basket or three of Asian-style dumplings. Where? Sandton Sun Hotel, 5th Street, Sandton; tel: +27 (0)11 780 5000. More fantastic sundowner views of Johannesburg come courtesy of the stylish Skye Bar on the ninth floor of the Holiday Inn Sandton, which offers an extensive cocktail and drinks menu. Try Genie in a Bottle (tequila, orange cream liqueur, Van der Hum and pineapple juice) or A Day at the Beach (Malibu, amaretto, orange juice and grenadine). As the evening progresses, go for something smoother, such as the After Eight Dessert or Banana Dream and many more. Moreish lamb kofta lollipops and deep-fried wonton and satay platters are among the tasty bites on offer. With an elegant atmosphere, relaxed mood and lavish furnishings, this is a great spot to impress that special friend. The bar opens at 4pm and closes only when the last guest leaves. Where? 123 Rivonia Road, Sandton; tel: +27 (0)11 282 0000. Up for a strawberry and ginger mojito? Or perhaps you’d prefer a cucumber and rosemary gin and tonic, craft beer, cider or non-alcoholic iced tea? The Lacuna Bar in the Maslow Hotel promises a lot more than just designer cocktails – there’s also sushi “with an African twist” and a substantial bar menu, featuring everything from hot chicken wings and the Lacuna beef burger with spinach, miso and parmesan, to spicy prawn gumbos and a biltong-and-nut board. With soothing views of the gardens and pool (you can also sit outside on the terrace itself), this is a good place to unwind after a long day. If you’re that way inclined, there is also an extensive cigar menu. Where? Ground floor, the Maslow Hotel, Sandton; tel: +27 10 226 4600. And now for something completely different: The Landmark cocktail bar, inspired by Jozi landmarks such as the Rissik Street post office and Vilakazi Street, offers “classic” cocktails with a South African flavour and Italian influence – based on fresh, seasonal organic and local products. The rich – and sometimes troubled – history of the City of Gold is evoked by cocktails such as The Kraal, Number 4 (a reference to the notorious Number Four prison at Constitution Hill) and Naledi High (bringing to mind the Soweto Uprising and police brutality against schoolchildren in 1976). Hand-crafted ice keeps things cool, but if cocktails are not your thing, there’s also an extensive wine list (including some rare global vintages) and a small craft-beer selection, rotated every three months. Sit back and reflect on Jozi’s good fortune, while admiring the fixtures and fittings made from repurposed materials from the original Bryanston Shopping Centre built in the 1970s and snacking on tapas and finger foods from Cafe del Sol next door. Where? Bryanston Shopping Centre, corner of William Nicol and Ballyclare; tel: +27 (0)11 463 5081. If you’re in a holiday mood, take advantage of City Sightseeing’s shuttle service for red-bus ticket holders between Rosebank and certain Sandton hotels, including the Maslow, and end a long day of exploring with City Sightseeing with a relaxing sundowner cocktail.